Constructed in 1914 by industrialist James Deering, the Italianate palace is also known as Hearst-Castle of the East. Meant to appear centuries old by completion, it’s rife with architectural elaborate accent and detail. In fact, it is estimated that over a dozen artisans took five-plus years to finish with its stylish flourishes. James was intrigued by 16th-century architecture and art, & part of his fine-collection still stands on display at the mansion. The mansion’s beautifully landscaped grounds awesomely complement the museum, whose name resembles the Basque name for a raised ground. Built on a bay, you will also be able to appreciate the beautiful views of the water while marveling through the estate. Although being a just a miles away from the heart of Brickell, Miami feels worlds apart. The eclectic neighborhood is among the oldest in Miami & has a suburban feel. Its quiet palm tree-lined streets are an impressive backdrop for the unique estate. 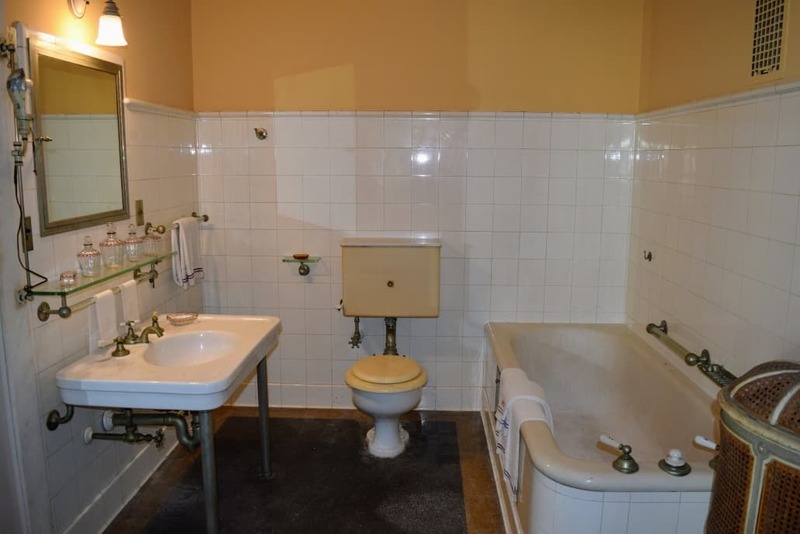 It took more than 8 years (1914 to 1922) to complete the construction of the massive estate & two years to finish with the designs of the main house. 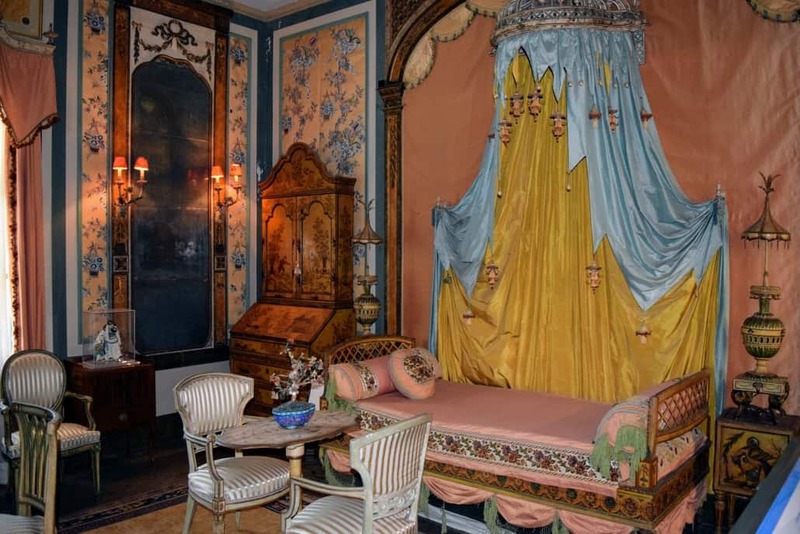 The 34 room palatial house was molded after an 18th-century Italian villa. Three men, including its owner Deering, took part in designing the many elements at the 50-acre property. 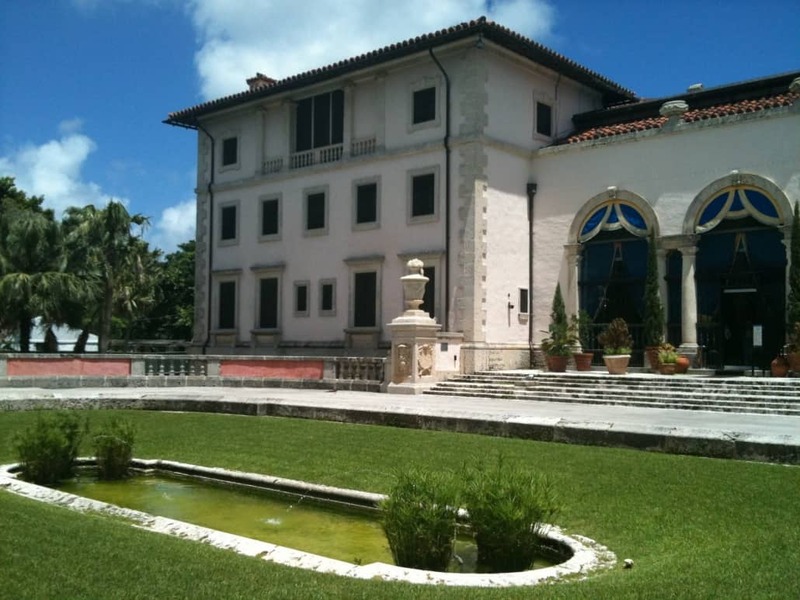 Despite its old fashion design, Villa Vizcaya did have various conveniences of the 20th-century, including a central vacuum system, elevators, and water filtration systems. Several other architectural elements were employed to resonate with the Miami’s tropical climate, including a large courtyard, that is among the first spots you get to see when entering the estate. Designers to the estate customized it based on Deering’s details but still taking into account the building’s cohesive ambiance. That’s why even to this day, each room looks like its own building, perfectly curated to show off the many collections Deering accumulated in his travels around the world. 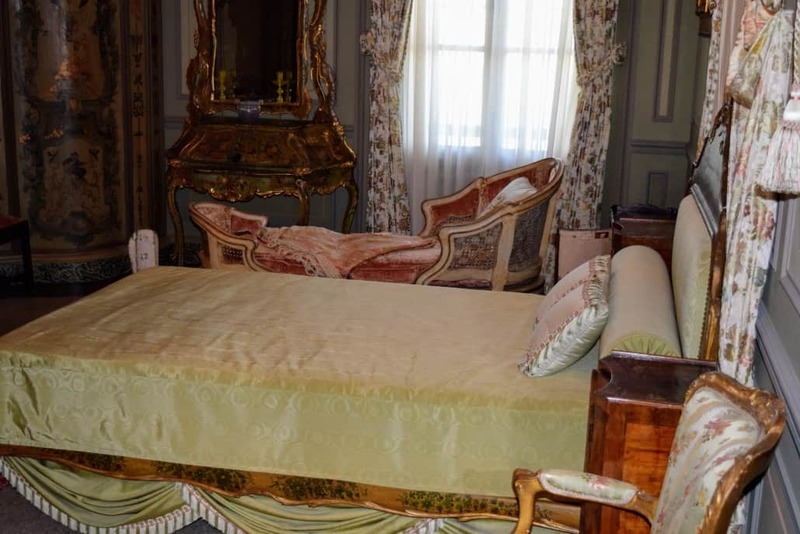 When visiting, you can take time to read about the various rooms with details about each room’s distinct showcase pieces and designs. One doesn’t have to be a professional architect to commend the grandeur & scale of architecture in each room. Mr. James was an avid collector of antique and traveler. From Asia, the United States, and Europe, he collected rare pieces of art and artifacts to fill his house. 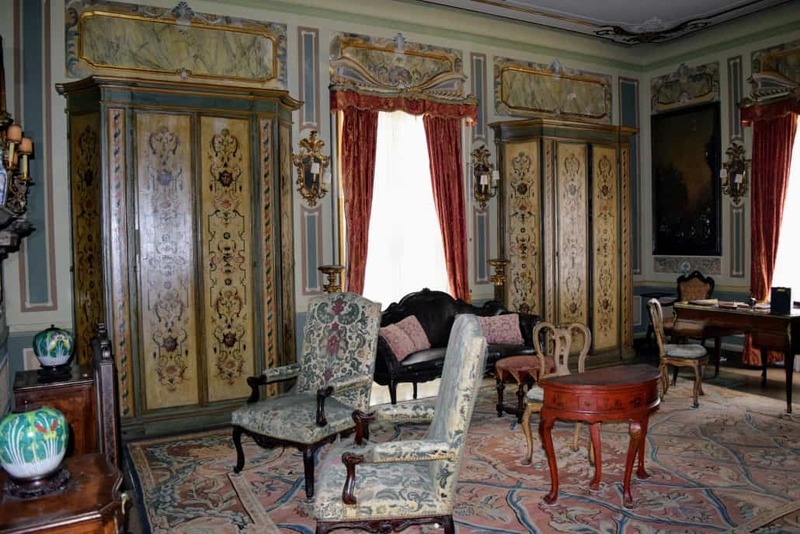 Today, many different collections still exist throughout the main house. 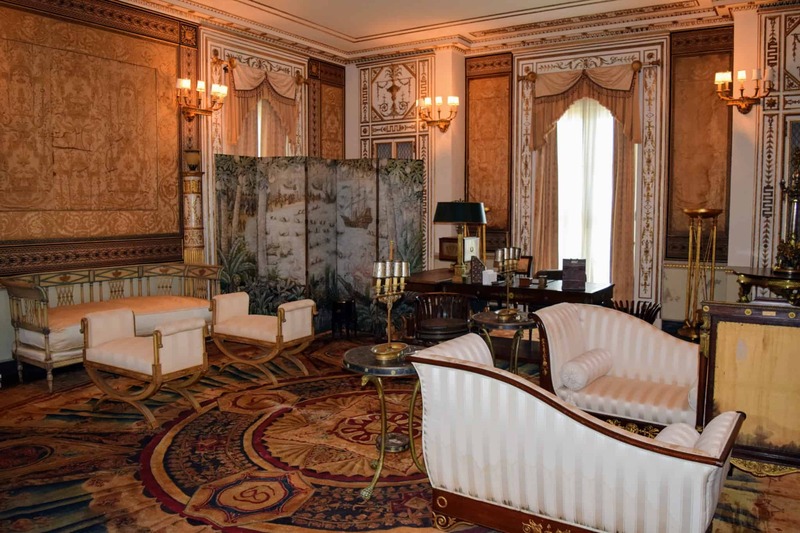 The estate also has specific pieces of sculpture and furniture that offer a unique artistic representation of the various rooms. Of the nine guest-rooms, each is individually designed & subsequently named following its style and décor. Built on Biscayne-bay, the outdoor East Terraces are a cruisers paradise. With its own boat-shaped “barge,” The estate was designed with a boat access area. While the dock is no longer accessible due to the element of time, you can still admire the bayside view & the beautiful stone-work of the barge. 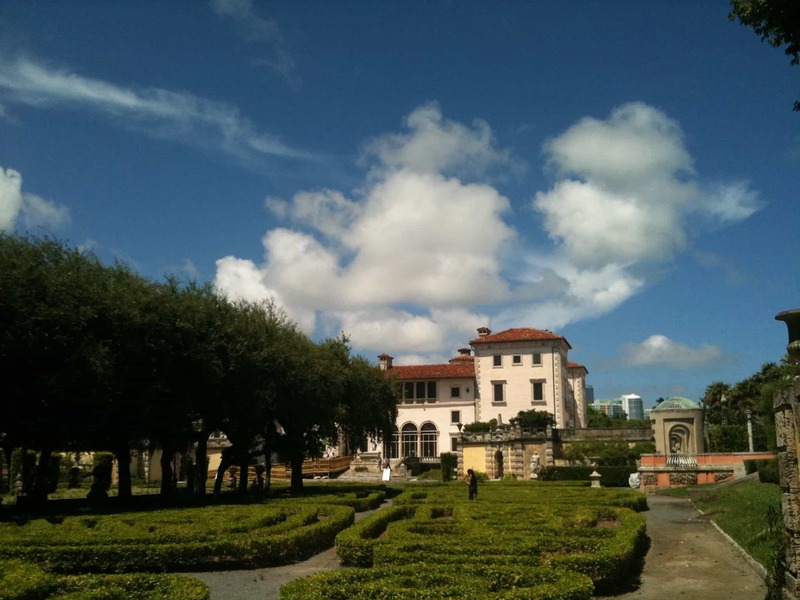 Adjacent to the southern terrace is the extensive formal gardens, which is made up of separate small gardens. 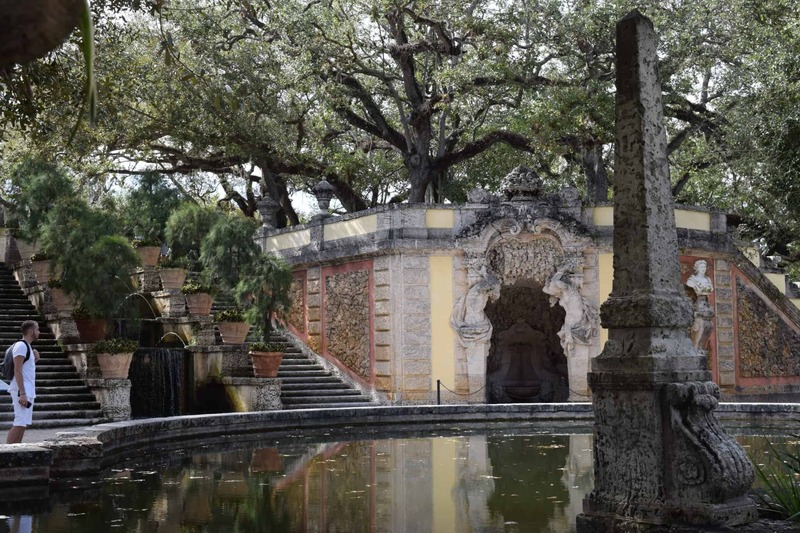 They were all modeled from the 18th-century gardens that were found in Italy & France. Strategically found through-out the gardens are fountains and sculptures. Most of the pieces were constructed from coral and limestone. The local materials have weathered over time giving the estate’s gardens an aged appearance. Even at peak hours, one can often find quiet spaces at the yards. Like the main house, try taking time to review each area and explore the distinct features and history of the various gardens. 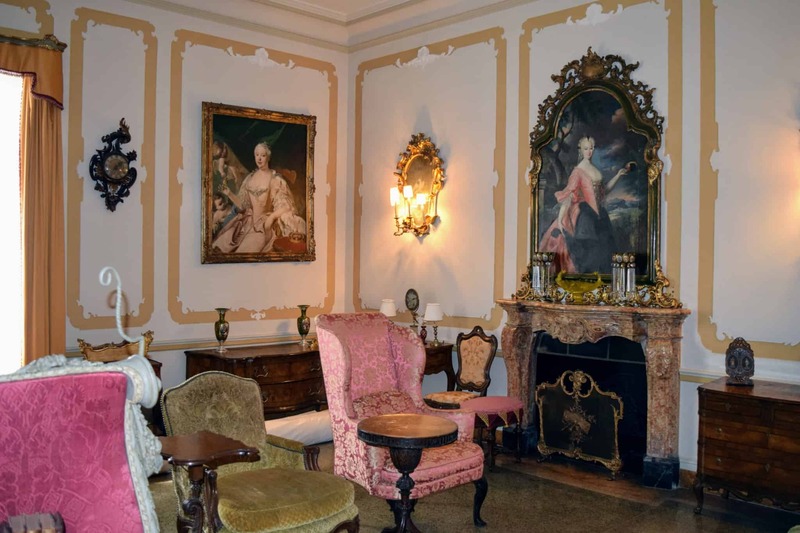 The Villa Vizcaya is a Jazz-age mélange of baroque architecture and Italian Renaissance, it is perfect for family visits and weddings for brides and grooms who want to ’have-it-all’’ & have a budget for it. Take advantage of the impressive venue. 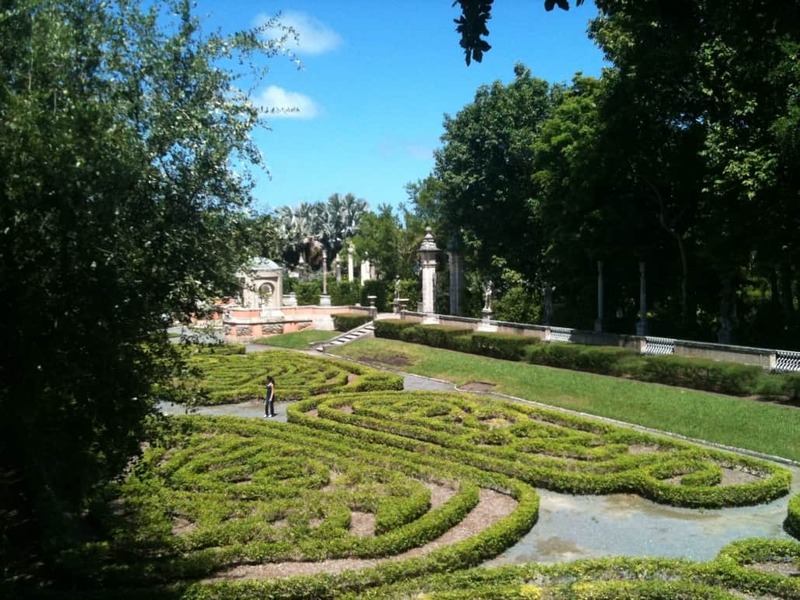 The big garden will offer you an opportunity to enjoy a lovely day in this historic gem.